AMARILLO - T.J. Weir twirled five innings of one-run ball while Buddy Reed and Peter Van Gansen hit home runs as the Sod Poodles notched a 5-1 victory over Corpus Christi before 6,362 fans at Hodgetown. The Hooks have dropped five in a row. 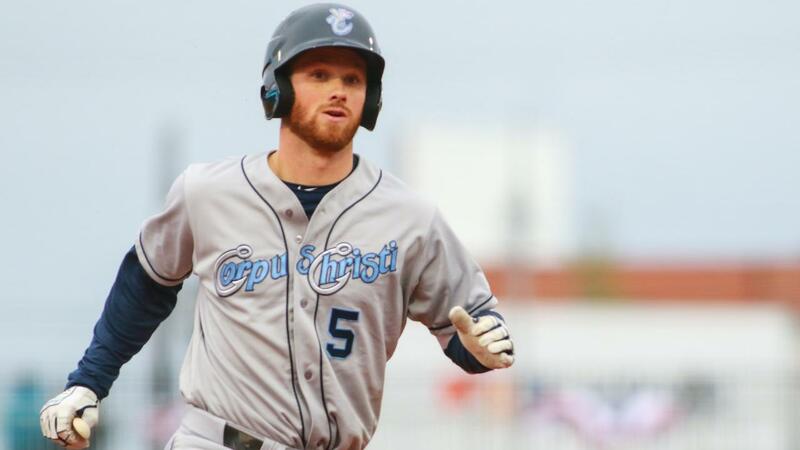 Reed, who cracked two homers Thursday night, lifted a two-run shot down the left-field line off Colin McKee in the third, turning a 1-0 Corpus Christi lead into an Amarillo advantage. McKee then dispatched five of the next six hitters, striking out four. Van Gansen disrupted the string with a one-out solo salvo in the fifth, putting the Sod Poodles in front, 3-1. Amarillo added insurance with two more markers in the sixth against Ronel Blanco. The lone Corpus Christi run came with two outs in the first. Stephen Wrenn, who notched a two-run triple in the ninth Thursday night, sent a three-bagger over the head of Reed in center field. Abraham Toro promptly plated Wrenn with a base hit up the middle. Hooks starter Tyler Ivey was perfect over the first two innings, striking out three. Ivey was ejected prior to the start of the third after crew chief and first-base umpire Justin Robinson inspected his glove. Lefty Kit Scheetz, who permitted an inherited runner to score in the sixth, struck out four of the six men he faced. Brendan Feldmann joined the Hooks hours before the contest and then penned a 1-2-3 eighth. Brandon Bielak aims to put Corpus Christi in the win column Saturday night. Lake Bachar is slated to work for the Sod Poodles. First pitch 7:05.